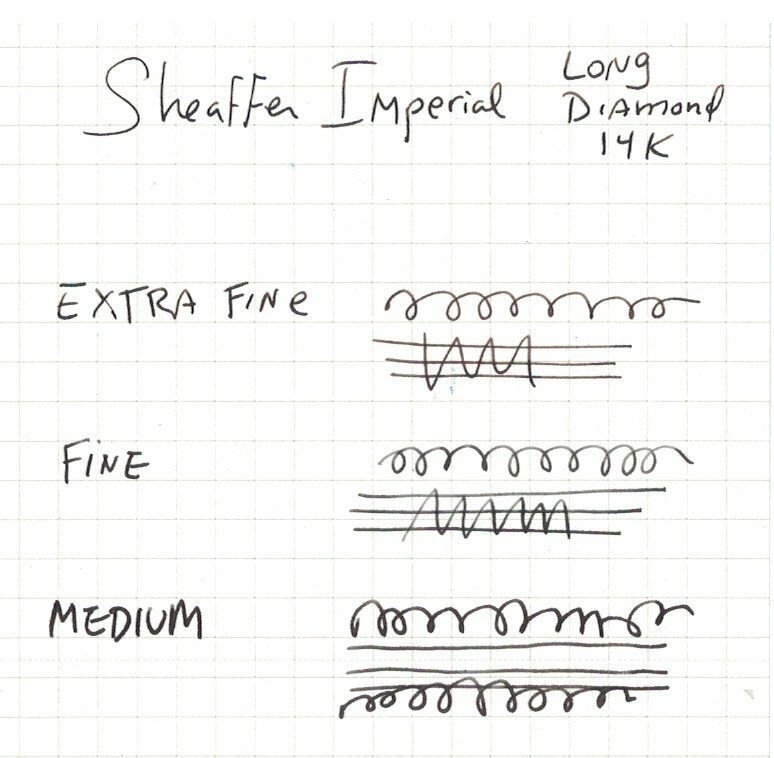 Sheaffer Imperial nibs and sections. 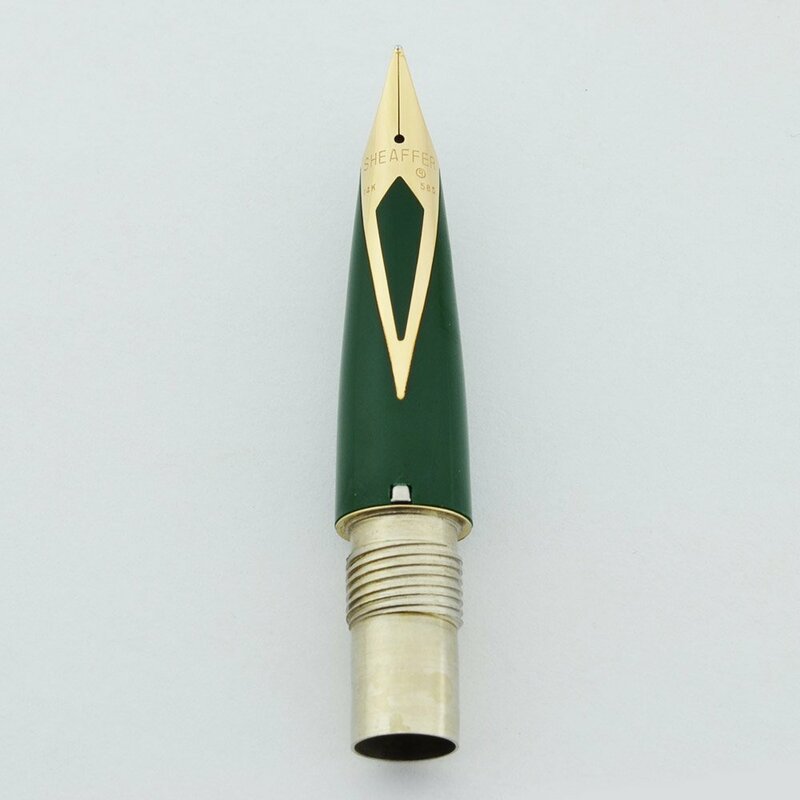 14k gold inlaid nib, with the long diamond style cut out. Fully guaranteed new old stock. These fit and be correct in certain high-end Imperial models from the 1960s-70s such as the Imperial Sovereign, Sterling Imperial, 777, 826, 827, and 834, to name a few. Colored sections fit these models, too, which originally come from Imperials IV, V and VI. Compatibility This long diamond style nib/section will fit and be correct in certain high end Imperial models of the 1960s-70s, such as the Imperial Sterling, Imperial Sovereign, 777, 826, 827 and 834 -- to name just a few. 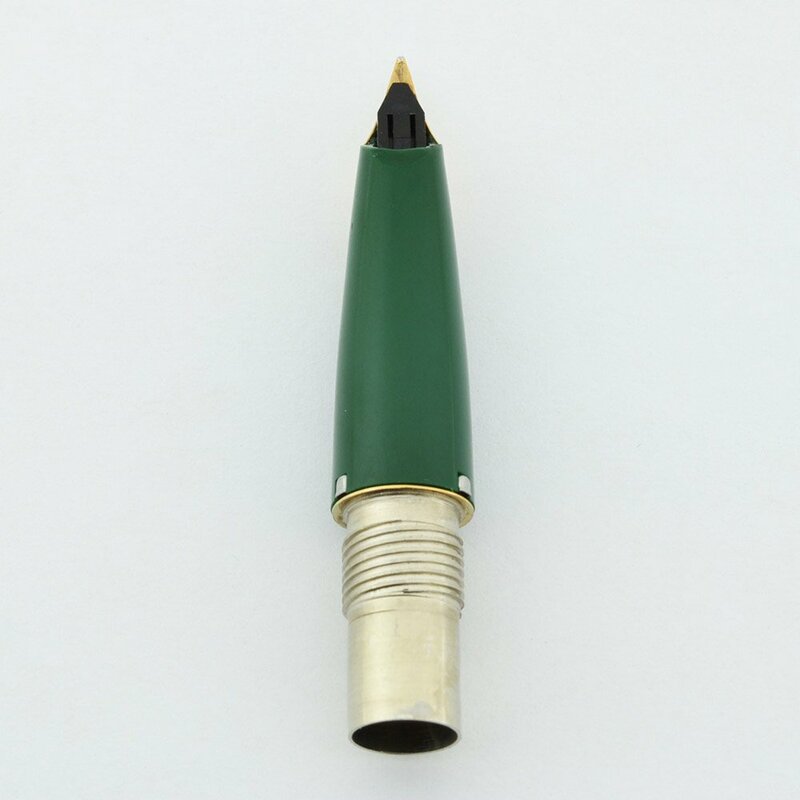 It will fit other pens as well, including the 440, 444 and 550. 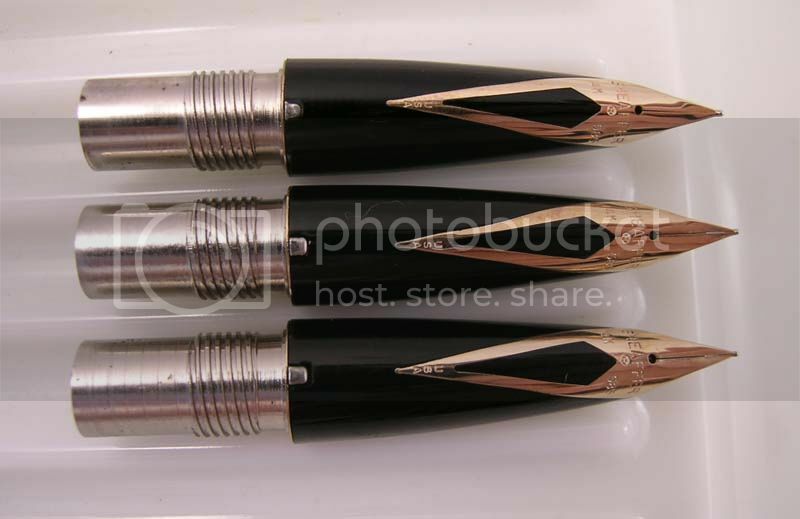 Nibs with colored sections fit these models, too, and originally came from Imperials IV, V and VI. Filling System The nib/section assembly can be fitted with a squeeze convertor, a modern squeeze converter, or cartridges. Color Sections feature various colors of plastic. Select color from pulldown menu. Nib Various nib sizes. Select size from pulldown menu. 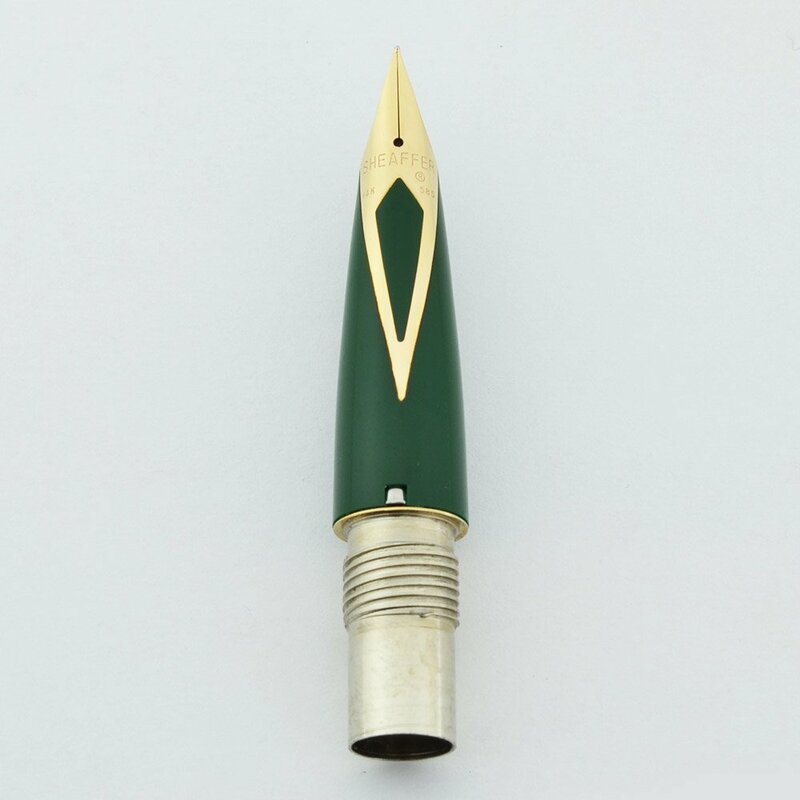 Condition This nib is new old stock from the 1970s. It has been inked for testing and adjustment purposes only, it has not been used otherwise. The nib is great, and its functionality in the proper model Sheaffer Imperial is fully guaranteed. There are a few superficial scratches and marks picked up in storage.